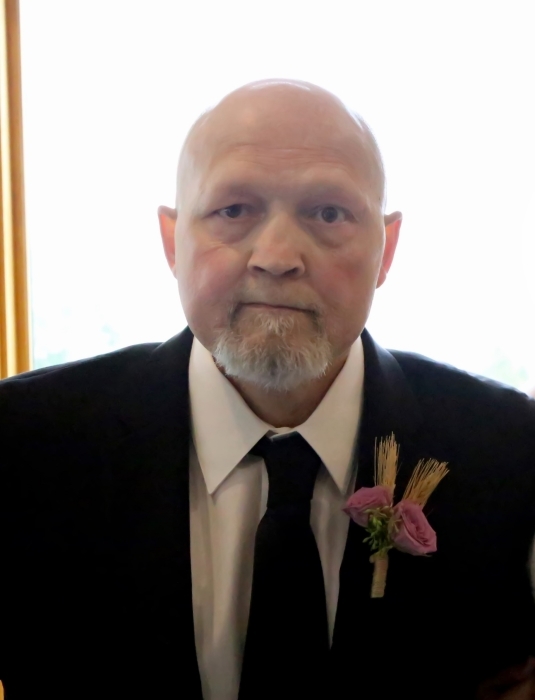 Ronald Wipperling, age 55, of Storm Lake, Iowa died Tuesday, November 27, 2018 at the Trinity Regional Medical Center in Fort Dodge, Iowa. Funeral services will be held on Monday, December 3, 2018 at 10:30 a.m. at the St. Peter Lutheran Church in Pocahontas, Iowa. Visitation will take place on Sunday, December 2, 2018 from 4:00 to 7:00 p.m. at the Sliefert Funeral Home in Storm Lake. Burial will be in the Poland Township Cemetery in Marathon, Iowa. The Sliefert Funeral Home in Storm Lake is in charge of the arrangements. Ronald Dean Wipperling, the son of Marvin and Caroline (Sothan) Wipperling, was born in Cherokee, Iowa, on January 26, 1963. He lived his youth in the Marathon and Albert City vicinities. Ron was a graduate of the Laurens-Marathon High School. In June of 1986, Ron was united in marriage to Beverly Williams at St. Peter Lutheran Church in Pocahontas, Iowa, and to this union two daughters were born: Samantha and Erica. Throughout his lifetime, Ron worked with hydraulics and welding and had been employed with Armstrong Machine Company in Pocahontas, Iowa, TCCS- Tyson Foods in Storm Lake, and Gold Star in Laurens. While residing in Pocahontas, he was affiliated with the St. Peter Lutheran Church and during his life was a member of the Moose Lodge. Ron loved NFL football and he was an enthusiastic fan of the Dallas Cowboys. He was also interested in old cars and enjoyed attending car shows. Another special interest of Ron’s was old time Rock and Roll music. Ron life is lovingly remembered and cherished by his family which include his two daughters: Samantha (Nolan) Zebedee of Pocahontas, Iowa and his first grandchild due in May; Erica Wipperling of Des Moines, Iowa, two brothers: Marvin Wipperling, Jr. of Le Sueur, Minnesota and Leon Wipperling of Alta, Iowa, two sisters: Cindy Morse of Sioux Rapids, Iowa and Kathy Wipperling of Storm Lake, Iowa, and other extended family and many friends. He was preceded in death by his parents, one sister: Teresa Mason and one brother, Glenn Wipperling.